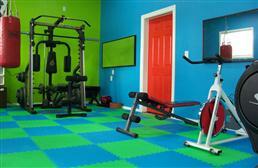 1/2" thick soft tiles from FoamTiles.com provide a low cost foam flooring solution. 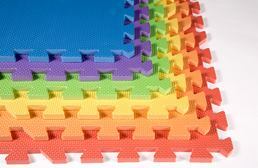 The foam floor tile products on this page easily interlock and can be used as a wall to wall foam flooring or as a portable soft matting solution. 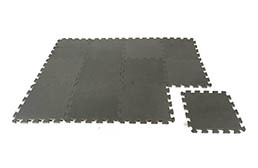 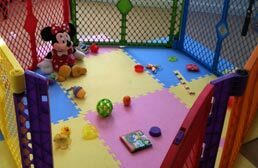 1/2" EVA foam tiles are most often used as interlocking exercise mats, as light duty home gym flooring, or as safe foam play mats for young kids. 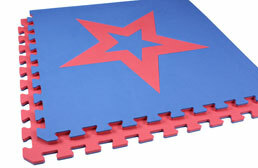 Each 1/2" thick foam tile is waterproof, easy to clean, and cheap in cost while still being high in quality.